Act Now Because There Is A Limited Window of Time To Pursue A Legal Case! If you took the breast cancer medication Taxotere, and experienced permanent hair loss you might be eligible for financial compensation. Sanofi™, maker of popular chemotherapy drug Taxotere®, has been alleged with failing to properly warn of permanent hair loss (alopecia) — in fact, the FDA took action in December 2015 forcing Sanofi™ to warn patients and doctors of permanent alopecia. Taxotere® (generically named Docetaxel) is an anti-cancer chemotherapy drug that is classified as a “taxane”, or “plant alkaloid”. Chemo patients are typically given Taxotere® (made by Sanofi™) or Taxol® (made by Bristol Myers Squibb™) during chemotherapy. However, studies are showing that only Taxotere® has significant risk for permanent alopecia (hair loss) while perhaps being even less effective than the alternative drug, Taxol®. Researchers at the National Cancer Conference in 2014 reported that permanent hair loss was a side effect in 10-15% of chemotherapy patients who took Taxotere®, according research conducted by the National Cancer Research Institute (NCRI). A groundbreaking study by the Annals of Oncology concluded that Taxotere® does significantly cause permanent hair loss in females who use the drug in chemotherapy treatment. The study also noted Taxotere®’s devastating effect on a patient’s quality of life. Something so psychologically distressing as permanent hair loss could certainly hinder a patient’s successful recovery. The New England Journal of Medicine (NEJM) in 2008 published a study of 5,000 women that found that the alternative chemotherapy drug Taxol® showed higherrates of survival than Taxotere® — and did not come with the risks of permanent hair loss. Why Are Doctors Even Using Taxotere? Because Sanofi™ (maker of Taxotere®) failed to list permanent hair loss as a known risk (FDA forced them to in Dec 2015), so doctors were not fully aware what was causing some patients to have permanent hair loss. ALSO.. Taxotere® has always been attractive to doctors and pharmacies — NOT because it is more effective, but because it is CHEAPER. 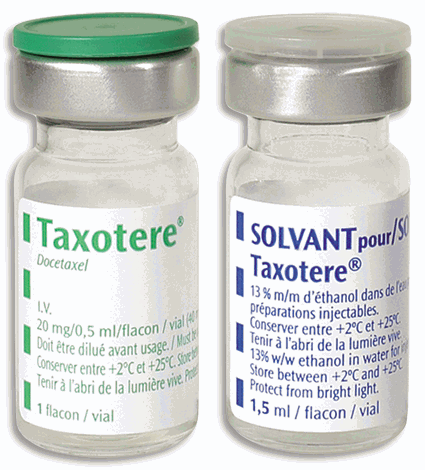 Sanofi™ developed Taxotere® to be a non-natural “synthetic” version of its competitor drug, Taxol®. They also made it twice as toxic, which many researchers believe is the reason why hair follicles become permanently damaged during treatment. Sanofi™ (the drug manufacturer) has known about Taxotere®’s risks concerning permanent hair loss for many years, but utterly FAILED to put a proper warning on its drug. 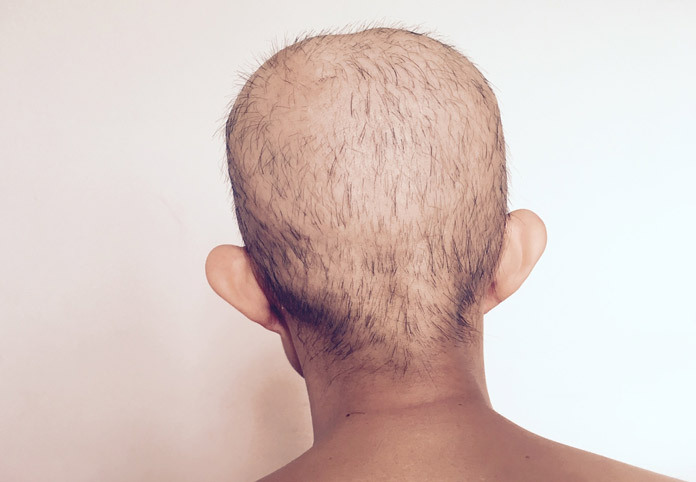 Meanwhile, doctors have been treating chemo patients with Taxotere® and unknowingly telling patients their ‘hair will return’… NOT knowing that roughly 1 in 10 patients will NEVER see their hair again. This Is An Issue of Informed Consent! We now know thanks to the New England Journal of Medicine (NEJM) study of 5,000 women that Taxotere® was shown to be less effective in cancer treatment than its American-made competitor drug, Taxol®. So the FDA warned Sanofi™ that their drug was being marketed to doctors and patients falsely or misleadingly. In December 2015, The FDA warned Sanofi™ (again) that they must add permanent alopecia (hair loss) to their drug warning label. As more evidence comes to light about Taxotere®’s risks and Sanofi™’s FDA warnings, hair loss victims are now filing lawsuits seeking financial compensation. LAWSUIT FILED: In California, a federal lawsuit filed against Sanofi™ alleges that not only did Sanofi™ know of the permanent alopecia risks, but actively tried to hide and conceal these risks while falsely marketing Taxotere® as a more effective chemotherapy drug — which the FDA warned was not true. If you (or a loved one) were given Taxotere® during chemotherapywhich subsequently resulted in permanent hair loss (alopecia), this may be the most important message you will ever read. As a result of the manufacturer of Taxotere® failing to properly warn patients and doctors of these permanent hair loss (alopecia)risks, you or your loved one likely suffered emotional and physical stress, along with unintended financial burdens. Why should you suffer and be responsible for the stress caused by a drug manufacturer’s failure to warn you? As a victim of a drug manufacturer that potentially FAILED to properly warn you of such permanent hair loss with their medication, you may be entitled to what are called “money damages“, which is just a legal term for money awarded from individual lawsuits, settlements and class action lawsuits. Our legal team has reviewed the available evidence and our experience tells us that we are in prime position to represent victims effectively who have suffered permanent hair loss, emotional suffering and financial consequences due to the use of Taxotere®. For a limited time, our Taxotere® lawsuit lawyers are offering FREE legal consultations to those who may have suffered both physically and emotionally due to permanent alopecia caused by Taxotere®. There is a very small window of time for victims to seek financial compensation — it is called the “statute of limitations” and the time window for pursuing a case is different in each state. So please do not wait to speak to an attorney because you do not want to miss your opportunity to pursue a Taxotere® settlement or lawsuit.